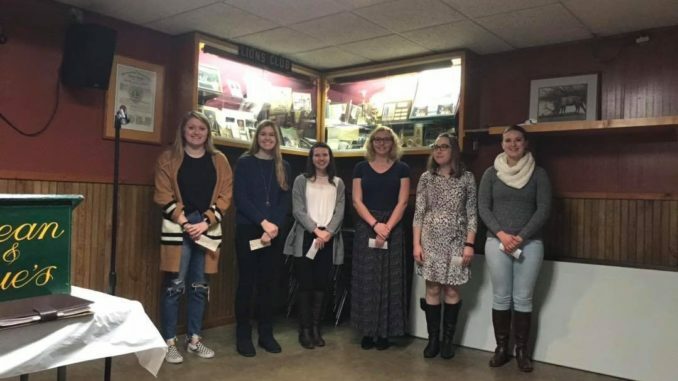 Each year the Menomonie Lions Club offers several scholarships to graduating seniors from the public High Schools in Dunn Co. These are 1 time awards in the amount of $1000.00. The applications are available from the guidance offices in each of the schools or may be copied from the Menomonie Lions web site. The completed applications must be returned to the stated address and the selection process is completed by the Lions Club. The Menomonie Lions Club has been giving out scholarships since the early 1970’s. The program has changed from a Menomonie High School only offering to a county wide program because of the great community support for our fund raising events. Over the last 11 years alone, the Menomonie Lions Club has given out over 70 scholarships totaling over $50,000.00. Congratulations to all of the students and best of luck!